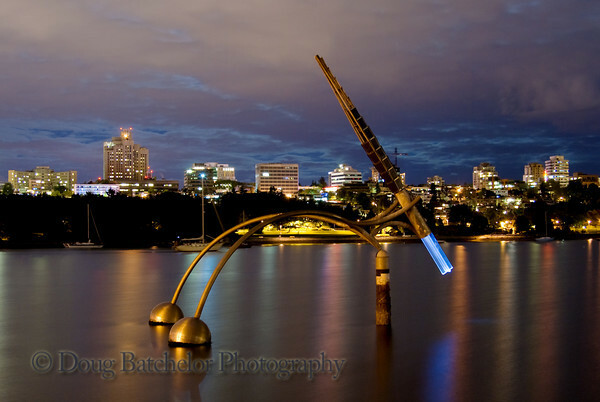 It's always fun to get out around False Creek, especially at night when the lights are reflecting off the water. I usually need to combine these mini photo excursions on top of "real" activities and last night was no exception. So after our Shoppers Drug Mart pit-stop to catch the last day of the ice cream sale(! ), I managed to steal a few minutes. The water turned so smooth in this exposure, it looks almost like ice. I'm not sure if this sculpture is really called the "rocket" or not, but it is pretty interesting in that it changes direction according to the tides.